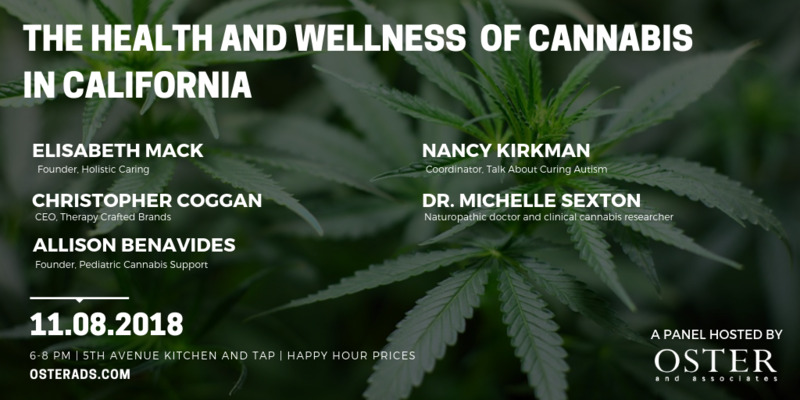 Join some of San Diego's leading health and wellness experts in the cannabis industry as they discuss The Health and Wellness Benefits of Cannabis at this FREE panel discussion. No cover to attend. RSVP is recommended. All attendees can enjoy special happy hour prices at 5th Avenue Kitchen & Tap, Hillcrest's newest bar and grill. This is a non-consumption event. Media are welcome to attend.